When we invest in employment interventions it is important that they follow evidenced-based models that emphasize education and longevity. Many programs provide youth with short-term low-level work which keeps them busy and puts money in their pockets but don’t create the kind of lasting connections needed to keep them engaged. 1. 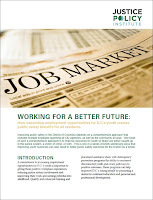 Invest more in quality employment programs for youth, including efforts that link youth with work that interests them, has potential for advancement and development and connects them to their community. 2. Focus resources to help youth with the most need. 3. Use evidenced-based models that have been shown to positively impact youth. Typically, successful employment programs incorporate components of evidence-based delinquency prevention models, on which there is abundant literature. 4. 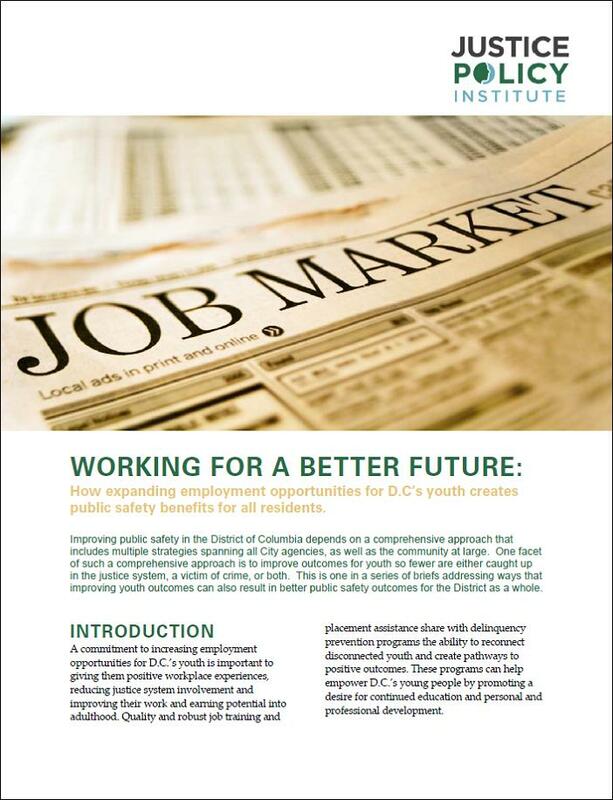 Youth employment programs in D.C. should avoid practices which exclude those with justice system involvement. 5. Consider innovative incentives for increasing youth participation in programs, such as guaranteeing a GED or adjudication expungement upon program. This brief is also part of a four-part series on how the District could improve public safety and outcomes for youth through positive social investments. The first installment, titled The Education of D.C., considers the intersection between education and public safety. Sign up for our listserv to stay up to date as the rest of the briefs are released in the coming months. Spike Bradford is a Senior Research Associate at the Justice Policy Institute. This post also appears on the blog for Reclaiming Futures, a nationwide initiative working to improve alcohol and drug treatment outcomes for youth in the juvenile justice system.